The fine grained, siltstones associated with the quarries near Sihetun in the northern Chinese province of Liaoning have become famous over the last twenty years or so, as it is from these quarries that some of the most exquisitely preserved vertebrate fossils that have ever been found have come. Several kinds of feathered non-avian dinosaurs are known, as are numerous primitive birds, lizards, mammals, evidence of flowering plants, insects, other invertebrates and fish. It is from these Lower Cretaceous deposits that dinosaurs such as Sinosauropteryx, Sinornithosaurus and a species of Psittacosaurus have been discovered. Such is the wealth of fossil material preserved that scientists have been able to piece together a huge amount of information about the fauna and flora in this part of China that lived around 133 to 120 million years ago. The ecosystem is known as the Jehol Biota and represents one of the most complete fossil ecosystems recorded from Mesozoic aged strata. 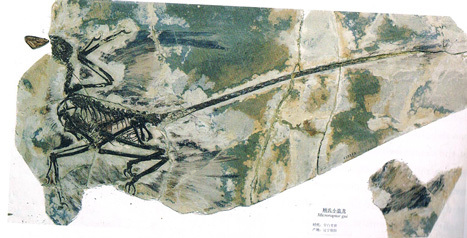 Many of the fossils reveal dinosaurs with bristle-like, proto-feathers and the numerous bird fossils (such as Confuciusornis spp.) even have their stomach contents preserved. But how did all these animals and plants come to be fossilised in such wonderful preservation and in such quantities? A team of international scientists, including experts from the Chinese Academy of Sciences, Nanjing University (Jiangsu Province, eastern China), in collaboration with colleagues from the American Museum of Natural History (New York) and Los Alamos Laboratory (New Mexico) have proposed that a series of deadly pyroclastic clouds hitting the area may have been responsible for the mass extinction and deposition of the body fossils. Beautifully preserved Chinese dinosaur fossils. Such is the quality of the fossil specimens that even tiny anatomical details have been preserved in the fossil material. These fossils have helped palaeontologists to piece together important data relating to the phylogenetic relationship of the Dinosauria to Aves (dinosaurs to birds) as well as providing a detailed insight into the evolution of the birds themselves. Such is the quantity and variety of specimens that scientists have puzzled how such a large assemblage of fossil material, with such excellent preservation, came about. 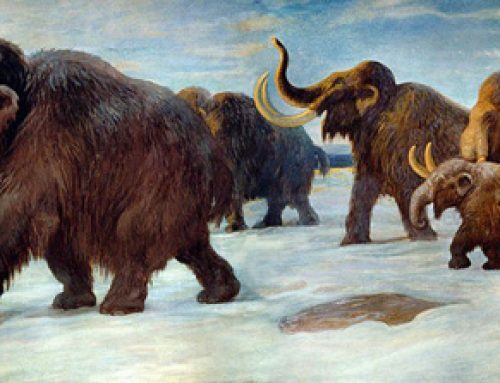 Previously, it had been thought that the remains of animals, plants and birds and all the other material had been washed into a large, stagnant lake. The corpses and plant material rapidly sinking to the muddy bottom and becoming quickly buried. Volcanoes were active in the area during this stage of the Cretaceous and fine ash deposits from volcanic eruptions covered the specimens and aided their preservation. Now a team of international scientists writing in the academic publication the “Journal of Nature Communications” have proposed that sudden and very localised, periodic pyroclastic flows from the surrounding volcanoes were responsible for the sweeping of large amounts of organic matter into the lakes and its subsequent exceptional fossil preservation. In the picture above a baby turtle has come to rest on top of a Hyphalosaurus (freshwater reptile, whose fossils are common in the Jehol Biota). Both body fossils are complete and immaculately preserved. There are many such examples of amazing fossil preservation and the researchers postulate that phreatomagmatic eruptions (volcanic eruptions caused by (most likely) rapid cooling of magma in contact with a body of water) forced pyroclastic flows to rapidly cover the surrounding countryside. A pyroclastic flow is a cloud of hot gas and ash that tumbles away from a volcanic explosion at huge speed. The hot gases, sometimes approaching 1,000 degrees Celsius, instantly kills everything in its path. The Roman city of Pompeii was hit by such a pyroclastic flow. Scientists have termed the forces responsible for the Liaoning preservation as “prehistoric Pompeiis”. The research team examined and analysed sediments and residual fossils from several key horizons in the Lower Cretaceous Jiufotang and Yixian formations in a bid to understand more about the nature of the events and the mechanisms behind the exceptional fossil preservation. The team conclude that the terrestrial material was transported by an sealed within the pyroclastic flows, thus providing palaeontologists with a unique record of the flora and fauna of the forested lowlands of this part of northern China. A victim of a pyroclastic flow? There are many examples of turtle fossils preserved in the Yixian and Jiufotang formations. These animals have remained little changed for over 130 million years. The researchers have proposed that the burials were not the result of a single event, but that there were probably several eruptions that occurred, most would have been small, localised but very violent causing localised mass extinctions.